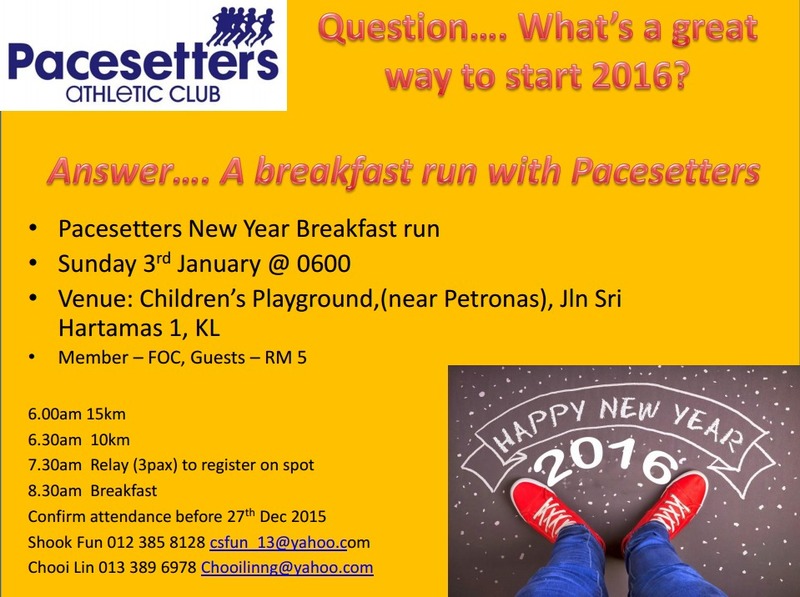 The Club is holding a NEW YEAR BREAKFAST RUN to welcome Year 2016 and to introduce a new meeting place for Sunday runs, starting from Sri Hartamas. Besides the 10km & 15km run, there is also a Relay (3 x 2km). So please form a team with your family and friends as prizes will be given. (Each team must have at least one lady) Those who run at 6am or 6.30am (who can come back on time) can also join the relay. See below for details. We look forward to your confirmation before 27 December 2015.